Last summer photo-eye hosted a series of lectures on art law that culminated in a panel discussion on appropriation centering around the highly discussed Cariou v. Prince. With the appellate court decision in Prince's favor in April, the discussion continues, and we asked two of our panelist, Talia Kosh and Craig Anderson, to weigh in on the ruling. For those who missed the earlier conversations, Talia Kosh's previous piece on Cariou v. Prince can be read here, and the panel discussion can be viewed here. As some readers will recall, last year, I wrote a short article on the trial court’s highly controversial decision in Cariou v. Prince, and our subsequent panel discussion organized by New Mexico Lawyers for the Arts and photo-eye. The panel discussion turned on what constitutes fair use: when may an artist take another’s work without permission to use in their own work, and what constitutes sufficient transformation of the work to be considered a “fair use”? The Cariou case highlights the defense of fair use in US Copyright law: the well-known four factor test which basically embodies our First Amendment right be able to comment on, and take from our cultural history to build upon, criticize or create new works with new meaning. Even before the Cariou case, the fair use landscape has been one of great confusion for artists, leading many to not pursue any fair use taking of another's work without permission, fearing litigation where a judge may one day determine that their work did not rise to the level of sufficient independent creativity. But the confusion surrounding how much an artist can take from past and current creative works to use to build a new work with new meaning endures far beyond any specific lawsuit, including the new developments in this one. To recap: Patrick Cariou, a photographer made more famous by this lawsuit against the famous, irreverent and cryptic appropriation artist Richard Prince, embedded himself in the Rastafarian community in Jamaica and photographed and published a series entitled, Yes Rasta. It was this series from which Richard Prince appropriated, or took without permission, a total of 30 works of Cariou’s for his own use. Prince added his own elements to these appropriated works, entitled them the Canal Zone series and sold them each for millions through the famous Gagosian Gallery in New York City. Judge Batts held that none of Prince’s works were covered by the fair use defense and ordered all of his works destroyed. The court also ruled that Gagosian Gallery was liable for selling Prince’s works without sufficient inquiry into the legality of the appropriation. This decision has been severely criticized for the way Judge Batts arrived at her decision. It has provoked heavy discourse and panel discussions around the country, leaving everyone waiting on the edge of their seats for the appellate court's decision and praying for a reversal, or at least a better rationale for a decision against fair use. The appeals court in Cariou v. Prince has spoken to this controversial lower court ruling. 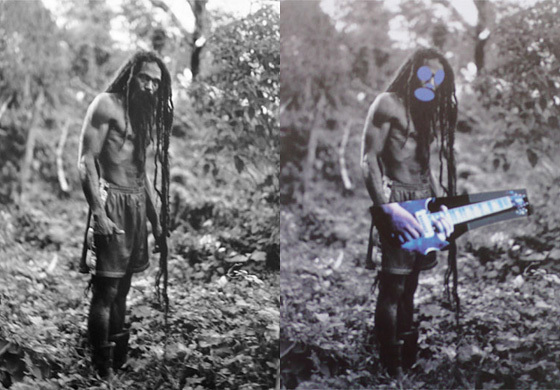 In April, the Second Circuit court of appeals reviewed the lower court’s decision and reversed it, stating that Richard Prince did not infringe photographer Patrick Cariou's copyrights by appropriating Cariou’s images, because Prince sufficiently “transformed” the works. The appeals court said 25 out of 30 works by Prince were covered by the fair use doctrine, remanding five of the works back to Judge Batts. Prior to this appeals court decision, there was much criticism of Judge Batts' heavy reliance on Prince's testimony (his purpose and intent in his appropriated work) to make a ruling against fair use. This was likely due to Prince’s “failure” (or some would say “refusal”) to explain the intent and meaning behind his work. This refusal is meaningful, as many artists intend their works to speak for themselves, instead of the audience relying on the artist’s words to give meaning to the work. Prince’s cryptic answers to the judge’s questions were true to his persona as a “Picture Generation” artist who “evades definition.” For example, Prince’s explanation for the purpose of one of the appropriated pieces was to make a “balls-out, great, unbelievably looking great painting that had to do with a kind of rock-and-roll painting on the radical side, and on a conservative side something to do with Cézanne’s bathers.” This is not the first time Prince has provoked the court system in this way. Some have suggested that Prince has been using the legal system as a new creative medium for some time -- an expensive kind of performance art. Cariou v. Prince then is the perfect case study in what a court will decide should the artist come up short on testimony regarding the intent behind their work. One of the many questions for discourse arising in this case then became how much weight a decision maker should give to the artist's own characterization of his work and how well the artist is able articulate that message. We all knew that, at some level, Judge Batts got it wrong. Judge Batts not only determined that NONE of Prince's appropriated works qualified as fair use without providing fair use analysis for each individual work, but she also ordered that all such works be destroyed -- a ruling that even Cariou disagreed with. And Gagosian Gallery was held just as liable for the appropriation, arguably creating a great chilling effect on what type of works galleries and museums may show in the future, without fear of litigation. But Judge Batts allowed us opportunity for discourse on another point of contention, which was increasingly concerning many art law theorists: that the secondary work (as opposed to the original, appropriated work) must comment on the original work. If this was to be the standard going forward, significantly fewer works would actually be covered by fair use. Under this standard, any appropriated work used in collage, including many great works, would not be fair use, and the artist would have to seek permission to use anything in their work if they were not somehow commenting on the original work. In order to uphold such a stringent standard, a judge would have to inquire into the intent behind the appropriation artist's work and make this a determining factor. When the appeals court ruled in favor of Prince, many let out a sigh of relief -- until we started digesting the opinion. What seemed very much to be the "right" decision seemed a bit bungled in the analysis and something that might create more confusion in the future. At the very least, we thought, the appeals court would discuss how the lower court erred in its analysis and remand the entire case back for review. Instead, the appellate court exercised judicial activism and made its own determination on all but five of the works. Attorney Sergio Sarmiento, quoting Bob Clarida, stated, “We all agree that the act of appropriation is transformative if it accompanied by some thought and contemplation as to what is being appropriated. By removing the artist's testimony -- what I call, artistic intent -- in fact obliterates conceptual art processes in favor of formalist idiocy. If, in fact, Prince's intent and testimony do not matter, then we can soundly agree that he is just splattering paint." It seems the appeals court has moved so far away from the artists intent that now we will grapple with judges making even greater determinations of "what is art" than they were before. While visual analysis is essential, it is not the only factor in determining intent. If the artist wishes to offer his intent as evidence of his fair use, this should hold some manner of weight. If the appeals court is going to exercise this kind of activism, then, by all means, go all the way, and rule on ALL works at issue. This is where appeals court went terribly wrong, ruling that five of the works did "not sufficiently differ" from Cariou’s photos to qualify as transformative, remanding these back to Judge Batts to rule on, under this confusing “sufficiently different” standard. Remanding these five works to the trial court is certainly puzzling. If the appellate court could not make a firm determination of fair use, how will the highly confused Judge Batts be able to make this determination? The one avenue the appeals court offered clarity on is in its decision that appropriation art does not need to comment on the appropriated work (or even popular culture) to be fair use. This is good news for our fair use doctrine. The court held that images can be appropriated as "raw material" to create new works where the artists “composition, presentation, scale, color palette, and media are fundamentally different and new compared to the photographs." Unfortunately, the road map for visual artists to explore the legal use of appropriated imagery is more unclear than ever. This makes it difficult for artists to go with confidence in the direction of their thoughtful and intended appropriation, even when commenting and attempting transformation. This lack of confidence can stifle creativity and speech. We need more than ever a clear roadmap for visual artists to be able to rely on, just as documentary filmmakers currently rely on the well-established "best practices for fair use for documentary filmmaking" which enables them to attain insurance coverage for films that utilize fair use in their making. Perhaps it is time that the art world engages in discourse around its own possible best practices for fair use, establishing a code on which artists can rely. Interestingly, for an outlaw of art and culture, Prince's work has been legalized. Wondering how Prince feels about this, I looked to his twitter page, to which he recently tweeted a photo of the back of what appears to be a Rastafarian, which he titled, "’F**k you and the horse you rode in on’ 2013 (No Rasta),” a play on the Yes Rasta series he has just vanquished. And apparently, Gagosian Gallery is copyright trolling the internet and demanding that bloggers seek permission from the gallery to use images in their news articles about this case, even though Gagosian still may be liable for the five works remanded back to Judge Batts. The irony is palpable. Has Gagosian learned nothing about fair use from this case? Whatever Prince’s true intent, no court of law will be asking him any time soon. He has provided a true experience in the definition of fair use. Public opinion clearly influenced the appeals court. Therefore, ongoing public opinion and discourse becomes more important than ever in strengthening, clarifying and defining our fair use doctrine and copyright law in general. If we do not engage in such discourse, then we leave it only to the courts of this country to make decisions for us about what is art and the nature of our intellectual property rights. Is this the end for Cariou, who will get nothing for any of the appropriated works that sold for millions? He is seeking a rehearing. Will this get to the Supreme Court? Keep watching. Flux and Focus: The Cariou-Prince-Gagosian Case and the future of "Appropriation Art"
April 25, 2013, the UNITED STATES COURT OF APPEALS FOR THE SECOND CIRCUIT in NY, in the case of Patrick Cariou-vs-Richard Prince/Gagosian Gallery, decided in favor of Prince and Gagosian. The high cost of contesting the decision and the odds against over-turning it, give this ruling an unsettling sense of finality. Who would be surprised at the court's decision after reading the impressive list of museums that filed Amicus Curiae briefs in support of Prince and Gagosian? Was it artistic freedom, or Gagosian Gallery's team of lawyers and the high stakes business of selling contemporary art that played a major role in the decision? For a moment I'm imagining the deleterious repercussions a counter-decision in favor of Cariou might have had. In that scenario Gagosian and Prince lose big money, inventory, probably clients and they have to re-position themselves in the art world. Change can be good, but museums that have collected Prince's works would see the value of their collections drop, while the value of blue chip private collection portfolios would be diminished as well. And those could be just the first of many dominos to fall. Appropriationism as an artistic practice would certainly become more complicated and risky. After the verdict, drenched by the tsunami of the opposition lawyers and then the judge's decision, Cariou must have felt like a bystander; standing in a shadow cast by the man in his original Jamaican jungle photograph that touched off the controversy. Although seen as a slam-dunk for Prince and Gagosian, upon further reflection the most recent court decision in this saga complicates things further. At best it's a split decision, leaving many questions unanswered while affecting many other levels of the arts and culture arena with its judicially activist decisions. We know what happened and who had the winning strategy in the court case, but the implications will likely affect the art world for years to come. The court's further sanctions of Appropriationism seem to clear the way for artists to take anything at hand, tweak it ever so slightly, thus making it acceptable as new work, including another living artist's copyrighted works. One senses that there may be another legal shoe or two to drop as we follow the unfolding mystery ahead. While pop culture has reigned supreme in America for decades, my B.S. buzzer keeps going off when contemplating this decision. It's a clear victory for a high priced strategy and follow-through in the courtroom, but then there's a different, lingering feeling as well; somehow professional wrestling as theater comes to mind. This prompts the larger question of.. what does it mean now to be an artist? Where's the focus; on the art? or the money? Nearly anything goes if an artist can find the right milieu and market for their work. But from the beginning, it's been that way being an artist: You find a cave, later a patron, then an atelier to study with a master; you seek out a café society, a movement, a gallery, an "ism", an agent and so on. Now artists are promoted, advertised and hyped like entertainers. Within Appropriationism, computers, photography, facile images and a worship of surface play central roles. Isn't change inevitable and the practice and business of art always just more weighted toward pop culture? Now we see it, we like it and almost instantaneously an image or video clip can go viral. While excellent artists struggle for acceptance and face obscurity on one hand, on the other, success is often incidental and purveyed by arbiters of taste. Is Prince a clever and inscrutable player, or has he become an instrument of culture? His works seem subject to an almost insidious inflation that comes with branding and name recognition. Prince's Cariou-appropriated imagery was sold for millions of dollars, yet not a dime goes to Cariou? And in losing the case Cariou pays all lawyers' fees. Really? The Cariou -vs- Prince/Gagosian decision also becomes an interesting topic regarding artistic philosophy and ethics in the studio. The discussion drifts toward what it means to be an artist, and by extension a business person. In this bull art market, lucrative prospects for sales understandably excite artists, while their galleries and by extension museums and collectors trust that an artist's studio pursuits will enhance the bottom line of their holdings. Over all this is good. The market for blue chip art currently outweighs most stock market investments. Yet in the shadows, money laundering by arms dealers and drug kingpins is reportedly on the rise as international sales of art works are conducted between two entities listed as "private collections." Forged customs documents and unopened crates allow works worth millions to clear customs at a declared value in mere hundreds of dollars. Other more conventional risks abound. Once touted attributes of an acclaimed work of art may diminish after the buyer passes the threshold of a purchase. Will works central to the Cariou-Prince-Gagosian trial hold their original market value after interest in the "ism" fades? This all becomes a double-edged sword, as the art world rapidly changes. Marcel Duchamp, Picasso, Rauschenberg and Warhol, Bruce Nauman, Joseph Beuys and many others have made great works of art based on appropriation. Duchamp's urinal came off a showroom shelf; Picasso and Warhol used newspapers freely as form and then content. Beuys moved installation art into the realm of Social Sculpture. Before the LGBT revolution, Rauschenberg's actual bed was collaged onto a painting. Then Tracy Emmins' bed installation hit the scene; it's art mimicking life and vice versa. These artists reached deeply into their respective reservoirs of personal experience for content. As agents of change, their works frequently reflected their uneasiness intrinsic to political and social structures of the time, raising questions that led to important societal changes. Trends come and go in the art world. We've witnessed dozens of isms, each repudiating the one before it. Appropriationism will most likely follow the pattern, and as long as there's ample electricity, pop culture will reign. But the larger questions of what it means to be an artist in the 21st Century and what are appropriate criteria for the ethics of artistic practice will remain. Prince is a lowlife, common thief. He's no different than the thief who steals a car, repaints it, then calls it his own. Judge Batts got it right on all counts.